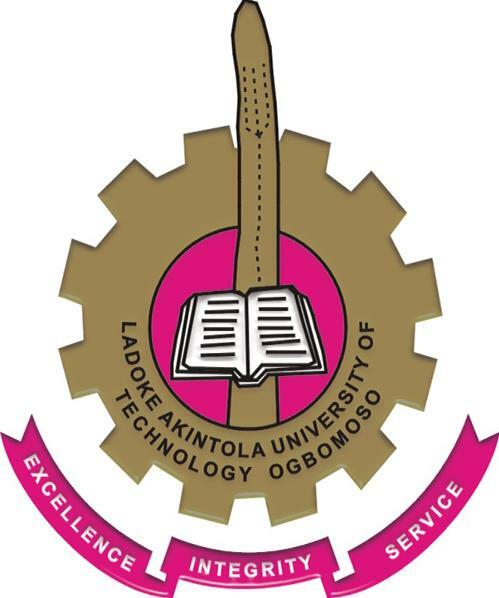 Using this platform, the Dailyschoolnews Nigeria official news broadcasting team wishes to inform the general public, especially all interested persons who would love to study at the Lautech Postgraduate school, that applications are currently been invited from suitably qualified candidates for admission into the Postgraduate School, Ladoke Akintola University of Technology, Ogbomoso, (Lautech) for the 2019/2020 Academic Session. Also be aware that you will be charged a bank transaction fee per transaction on for all InterSwitch payments. To commence your registration, CLICK HERE, BUT READ THE GUIDES PUBLISHED BELOW, SO IT CAN BE EASIER FOR YOU. To commence your application/Registration, you’re required to click on “Pay For Application Form”. The Pay for Application Form link is located under the General Menu. When the link opens, create/register an Account on the page. Take note that the Email Address which you will be using for registration has to be unique, and will serve as your Registration ID which you will use to make payment. After you have successfully registered an account with your Email Address, click on “Pay Application Fee” which is situated under the Action Menu. Be aware that you will be asked to supply your Email address and password. When you fill in the correct details, you will be redirected to the Lautech InterSwitch payment gateway to make payment. “After you have attempted to make payment for the postgraduate registration form, (even if your payment was not successful), please note, you then fall into the category of “Returning Applicant”, and you should always use the “Returning Applicant Login” under the General Menu to log in. There is absolutely no need to create another account. Your account has already been successfully registered. As a “Returning Applicant”, you must obtain an Application Form Number (this must be after you have successfully paid the Lautech Postgraduate Registration fee); make other payment attempts in case you are yet to be successful, and you can also complete the application process. In case you are yet to get a successful payment, click on the button that reads; “Click here to Pay for your Application Form with a Created Email Address”. It is very important that the Email address you supply must have been registered earlier. After a successful payment, in order to get an Application Form Number, click on “Click here to get a Form Number”. Once the page loads up, you’re required to type in / enter the Email Address registered earlier and the password you created. Your Application Form Number will be automatically e-mailed to your email address and also shown on the screen of the device you used in accessing the Lautech postgraduate dashboard. To complete the Application Form, you must get an Application Form number. You are to login with your Application Form number and the password which was earlier created. It’s mandatory that you submitted this documents at the Postgraduate School, LAUTECH along with other necessary documents like Academic Transcript, Certificates etc. After you have successfully submit your Application Form, you will be unable to change the Passport Photograph uploaded. I strongly advise you to please, before submission, do confirm that the passport uploaded is yours. According to the institution, the guide provided above is 100% accurate. However, incase there is any unforseen issues that may arise while you’re trying to register/buy the Lautech PG school form, you can use any of the means below to reach them. We’re wishing you the very best, and please don’t forget to share this information with your friends on facebook, google+ and Twitter, using the share buttons below.